In this impressionistic orchestral painting we enter an imaginative world of birds, bugs, winds, woodland and groves in different parts of the day: the subtle sounds of the birds awakening at first dawn, the brooding atmospheres of a summer's day and the nocturnal turmoil, suspense and resolve as a tempest is passing. Groves was inspired by a desire to paint a musical soundscape in which nature plays the major part, not emulating it nor attempting accuracy, but capturing its essence while feeding the imaginatinon. 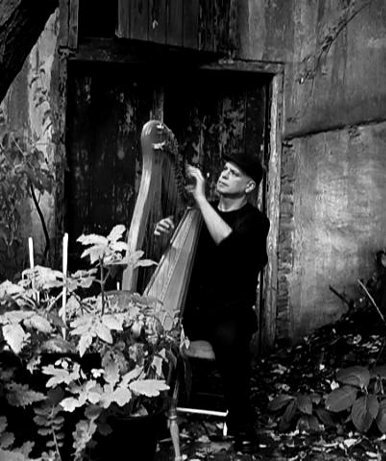 For this project live recordings were made of all strings, harp, flutes and percussion parts, using a range of instruments from violin to double bass, Indian flutes, but also using water flutes and purpose-made gongs. All played by the composer himself and recorded and produced in his studio. Jamie Hugh O'Callaghan was born in 1963 in the UK of Welsh/Irish parents and grew up in South Yorkshire and the coastal area around Newcastle. Although he was involved in music from a very early age (New Wave, electronics etc), it wasn't until he turned 20 that he realised he wanted to become a professional musician /composer. So he went back to school to obtain the necessary qualifications. He completed his music studies at Kingston University London in 1991. During his time in London he became fascinated by music theory and composition and was inspired by composers such as Debussy, Messiaen, Alun Hoddinot, William Alwyn and Arnold Bax but also by the minimalistic and spiritual nature of Hindu music and (film) composers Philip Glass, Bernard Herrman and Jerry Goldsmith. 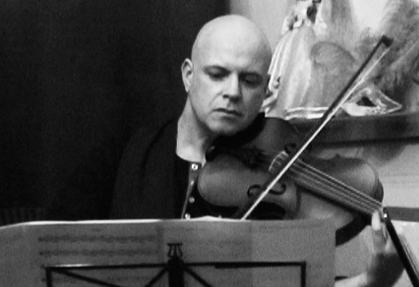 As a viola and double bass player he acquired hands-on experience of compositional harmony and balance in various orchestral settings. 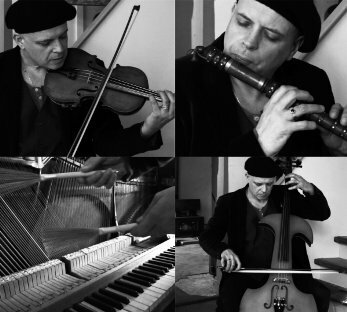 His love of orchestral, minimal and film music has coloured his work ever since and can be found in his contemporary compositions, his (studio) projects and collaborations with various artists as well as in the electronic/ambient music with his ensemble 'The colour of time'. With his Celtic origins as a continuous source of inspiration. His work has been described as cinematic, evocative, original, surreal, versatile, bridging the old and the new, the abstract and the narrative. Jamie lives and works in the Netherlands.